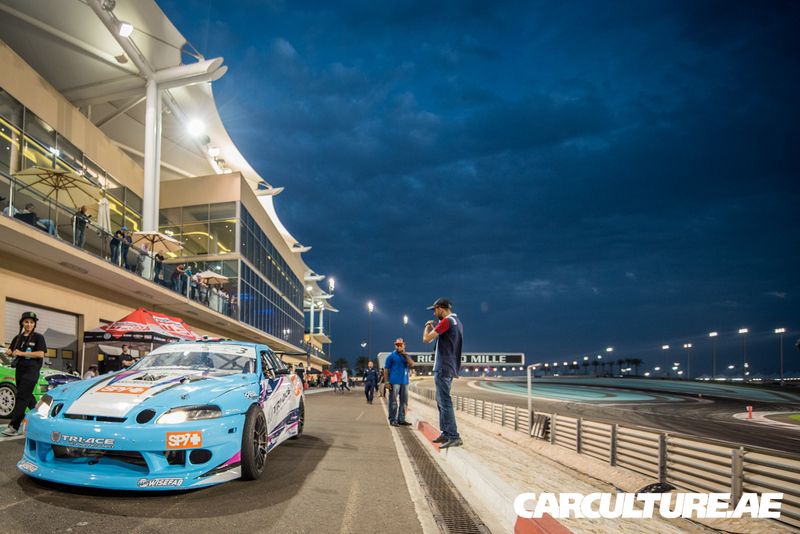 The first round in Drift Allstars 2016 season was kicked of at the world famous Formula 1 track, Yas Marina Curcuit in Abu Dhabi, UAE. To drift on this beautiful track has always been a big dream for Fredrik Oksnevad. Before Fredrik shipped his car, he and his friends worked day and night to get it done. Fredrik and his team didn’t get the chance to test the car before it was shipped to UEA. Fredrik’s trustfull mechanic Marius Fossheim was the only person Fredrik had with him this weekend, beside the TV crew from TV 2 covering the event. 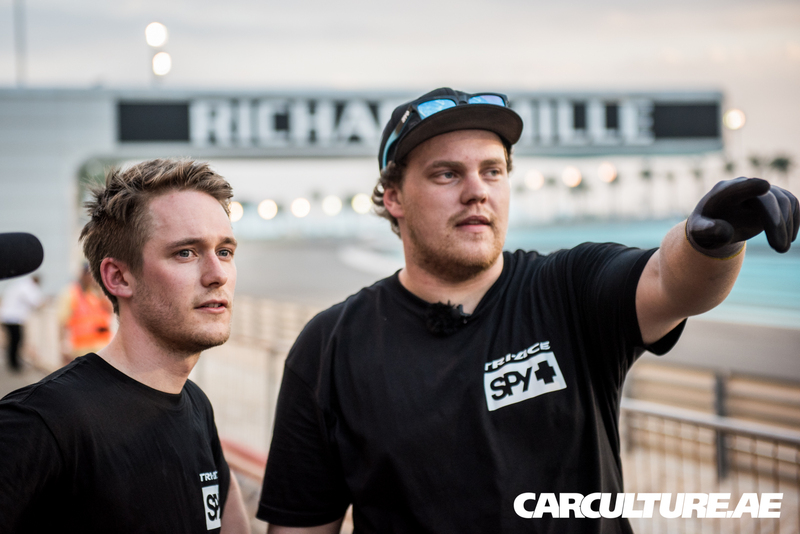 Marius helped Fredrik with the car setup, to find less grip so he could link the middle straight of the track. After a great day of testing on Thursday, Fredrik and Marius felt they had a plan for the next day qualifying and finals. They had less grip on the car, and knew which line they had to take to please the judges. Qualifying when okey and Fredrik got 7th place. Good enough to be up with the best and to push forward into the finals. Top 16 was a hard battle for Fredrik. 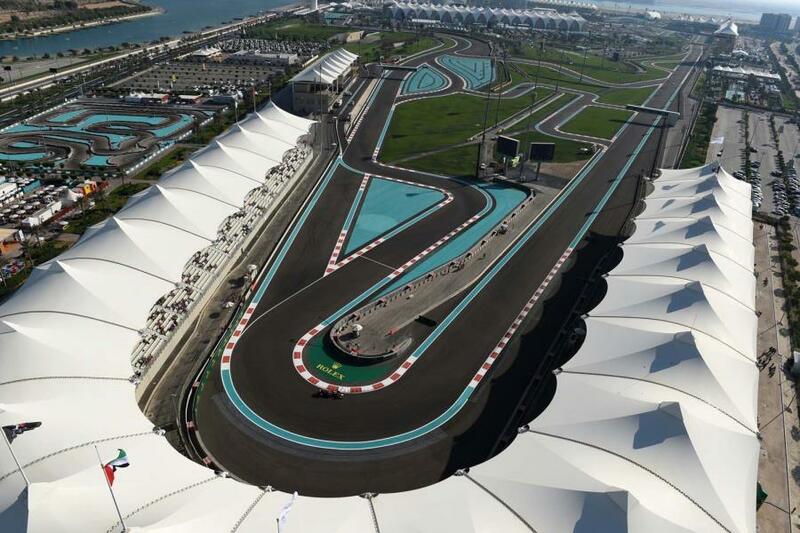 He faced a driver with half of his engine power, which also meant that he drove a lot slower. The battle was tight, but after a OMT Fredrik moved on to the great 8. In great 8, Fredrik was up agains home crowd favorite Sheikh Sultan Al Qassimi. Sultan has a fast and powerful Nissan, and Fredrik had to push it hard. With small margins Fredrik got the win and moved on to Top 4. 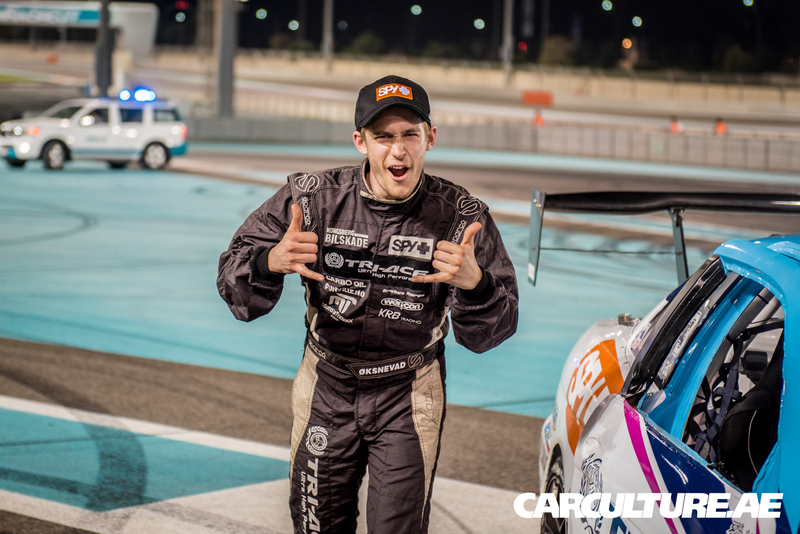 After two had competitors in top 16 and top 8, Fredrik was feeling the heat at Yas Marina Circuit. With air temperatures still up in the mid twenties past ten o clock at night, it was hard on Fredrik’s Tri-Ace Tyre Soarer and head. Top 4 battle wasn’t any easier than the rest that evening. Fredrik was up against Baggsy in his Monster S13. Baggsy was showing great driving all weekend and was also nr 1 qualifier. After really hard driving by both drivers, Fredrik hit a clipping point and had to give the win to Baggsy, which also won the event later on. 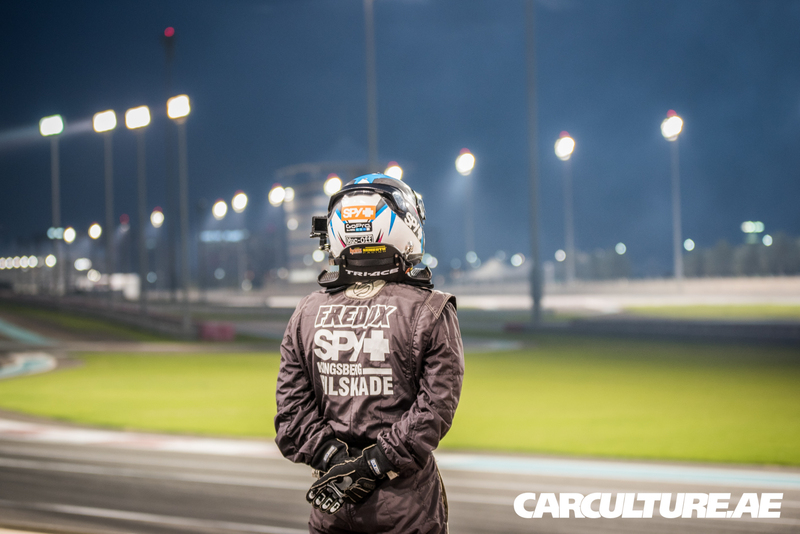 Before the battle of 3rd place, it was a long waiting game for Fredrik. And with that, Nigel got the win and 3rd place. Fredrik got 4th place. Thanks to CarCulture.ae for all these great photos. Visit their page to view more.